Some struggle with substance abuse, mental illness, or both. An elderly member of the group had collapsed and died inside one of the park’s public bathrooms. And a typhus outbreak in downtown homeless encampments to the west and Pasadena encampments to the east was declared an epidemic by public health officials last month. Now, there is a multibillion-dollar effort designed to help many of the estimated 134,000 homeless people in California who have been displaced by rising rents and housing shortages from the Bay to San Diego. If history is any guide, raising those funds will be the easy part. Ensuring they’re effectively spent to combat the state’s homelessness epidemic will be much harder. California’s Proposition 2 passed overwhelmingly with 61 percent of the vote on Nov. 6, allowing the state to generate $2 billion in bond money next year alone. The influx of billions will fund housing and supportive services for those with mental illness who are on the street. The unmet needs are huge. 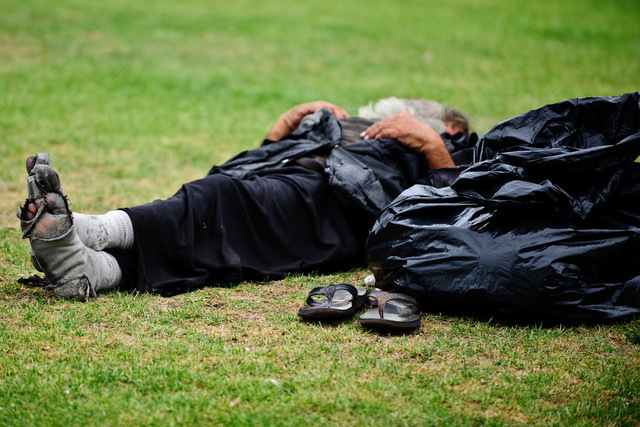 The Los Angeles Homeless Services Authority found in its most recent survey that 27 percent of homeless people suffer from serious mental illness. But media reports focused on questionable “innovations” in treatment, such as yoga and acupuncture for mental health patients. A review by the California State Auditor in 2013 found a troubling lack of oversight by several counties and the state mental health officials who were supposed to guide them. Not all California counties failed to follow the intentions of the program. In 2014, I reported on effective and substantial innovations in rural Tulare County through use of Prop 63 funds. But most counties had made few concrete decisions on how to spend the money after a decade of strategy sessions with local mental health experts, who were paid for their input. Oversight was reassigned to the California Department of Health Care Services. Finally in 2016, State Senator Kevin de León of Los Angeles proposed that up to $140 million a year be siphoned from Prop 63 to repay the billions in bonds needed to start No Place Like Home, a supportive housing program. A Sacramento lawyer who had previous represented mental hospitals in other states filed a lawsuit that blocked the establishment of the program, arguing that the original intent of Proposition 63 was to fund and develop programs for the severely mentally ill. Proposition 2, supported by a coalition of first responders, mental health and housing advocates, was established as an end run around that lawsuit. But now that the ballot measure has passed, it may set up a new round of debate on how to spend the money. Supporters of the measure are already pointing toward a “collaborative stakeholder process” for counties to apply for the funds.